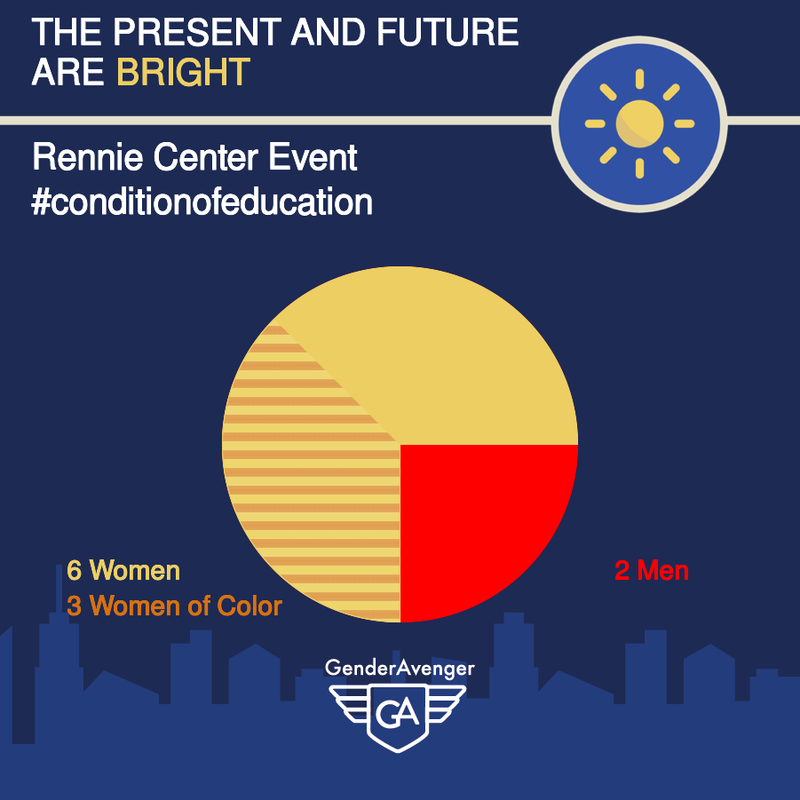 After a year of using the GA Tally app and having positive conversations with the organizers, Eos Foundation President Andrea Silbert is singing the praises of the Rennie Center’s 2019 Condition of Education Report Release Event and their much improved speaker lineup. A jump from zero women on the panel in 2018 to six in 2019 is one of the best testimonies to the GA Tally app we’ve heard yet. Congratulations to the Rennie Center for being open to making positive change, and kudos to Eos Foundation for calling attention to the issue.